New Directions Publishing Corporation, 9780811216135, 253pp. A new, broad, comprehensive view of the innovative poetry of the late, great Trappist monk and religious philosopher Thomas Merton. Poet, Trappist monk, religious philosopher, translator, social criticthe late Thomas Merton was all these things. Until now, no selection from his great body of poetry has afforded a comprehensive view of his varied and largely innovative work. 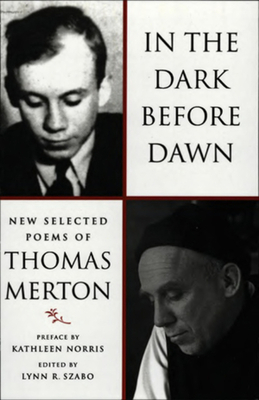 In the Dark Before Dawn: New Selected Poems of Thomas Merton is not only double the size of Merton's earlier Selected Poems (1967), it also arranges his poetry thematically and chronologically, so that readers can follow the poet's multifarious interrelated lines of thought as well as his poetic development over the decades, from his college days in the 1930s to his untimely accidental death in Bangkok in 1968 during his personal Eastern pilgrimage. The selections are grouped under eight thematic headings"Geography's Landscapes," "Poems from the Monastery," "Poems of the Sacred," "Songs of Contemplation," "History's Voices: Past and Present," "Engaging the World," "On Being Human," "Merton and Other Languages.